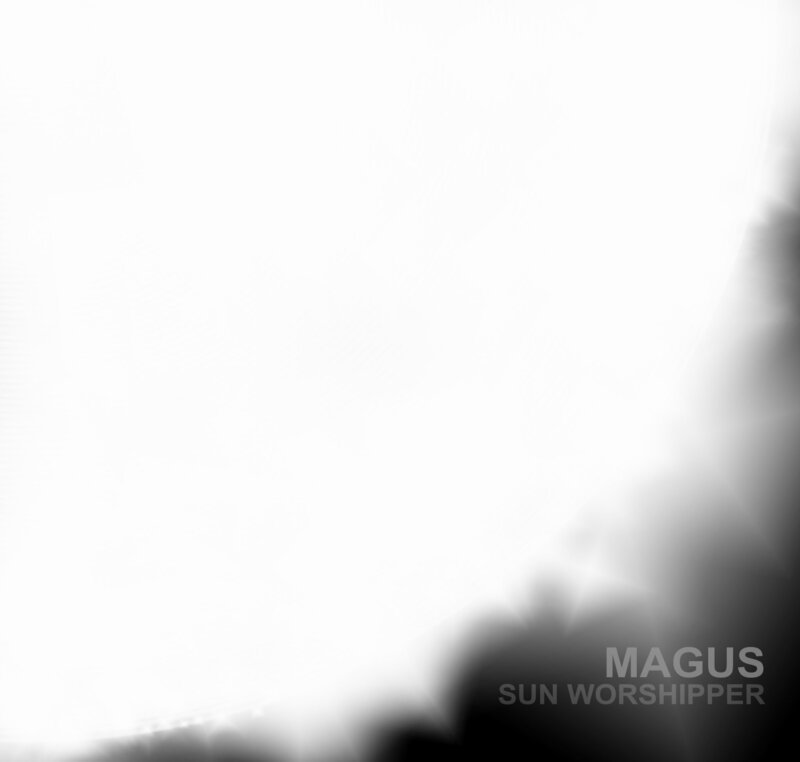 Sun Worshipper will be released on CD by Ujikaji Records, catalogue no. UJI-001, on Sep 16, 2011.
mr sterile Assemby – an impossibly energetic duo from New Zealand that play a brand of experimental outsider punk music to make you start a moshpit (for some, in their heads)! I\D are Singapore’s improv rock clownz, Supersilent meets Cosmic Jokers down 1960s Keong Saik Road. Under the Velvet Sky – these bunch never fails to impress with their semi-structured/freewheeling performances blending free jazz, prog rock, Middle Eastern scales into a message of love to the cosmsos! 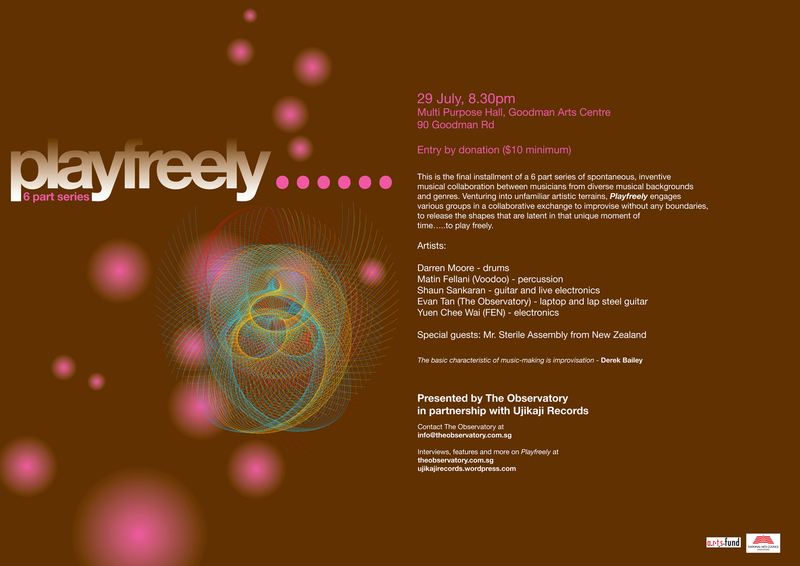 The following day, with somewhat heavy hearts, The Observatory in partnership with Ujikaji Records bring you Playfreely VI, the last of our improvisational series. Venue: Multi Purpose Hall, Goodman Arts Centre, 90 Goodman Rd. Thank you all those who’ve supported us over the many weeks, musicians and witnesses alike. We hope it’s been as memorable for you as it’s been with us. With that in mind, let’s go out with a bang! A 6 part series of spontaneous, inventive musical collaboration between musicians from diverse musical backgrounds and genres. Venturing into unfamiliar artistic terrains, Playfreely engages various groups in a collaborative exchange to improvise without any boundaries, to release the shapes that are latent in that unique moment of time… to play freely. Visual artist Elizabeth Lim shares with us her viewpoints after witnessing Playfreely IV. We’re taking a short break this weekend. Office will be closed till June 7. Feel free to make your orders during this period but we’ll only be posting out after the 7th. Cheers!